Disney Princess Shimmering Dreams Sale! Do you have a little Disney Princess at home? Check out this great deal at Target! Get this Disney Princess Shimmering Dreams Collection for only $43.49! Normally $99.88! That’s only $3.95 per doll shipped! Keep in mind that the price will drop from $50.99 to $43.49 at checkout with no promotional code needed. 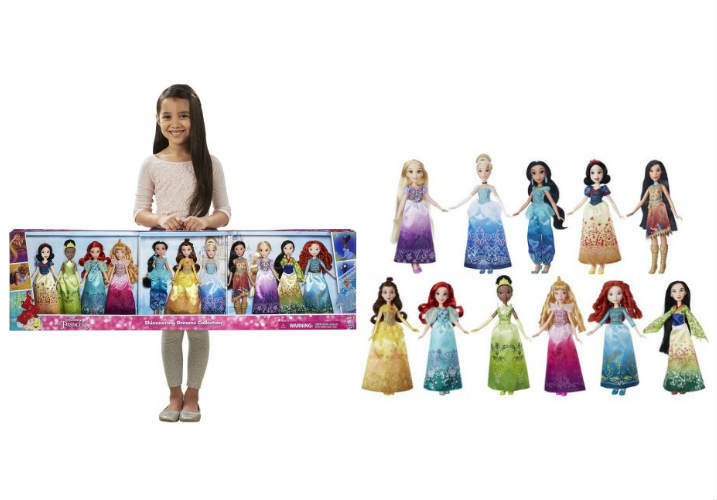 This is an exceptional deal on Disney Princess Dolls. Plus, it’s really hard to find ALL of these Disney Princesses in one place. 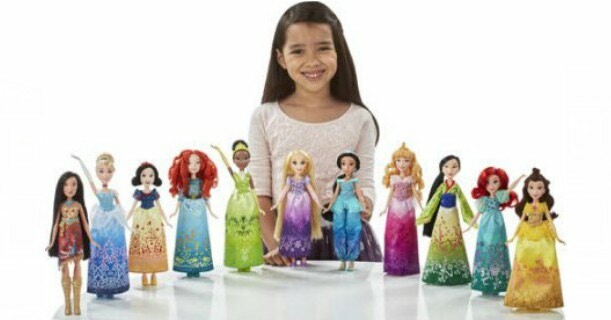 The set includes Disney’s Belle, Ariel, Aurora, Rapunzel, Snow White, Cinderella, Jasmine, Mulan, Pocahontas, Tiana, and Merida. It also comes with 11 outfits, 11 pairs of shoes, 2 pairs of earrings, and 10 accessories the princesses. Previous article60% off Toys – Nerf, Play-Doh, Baby Alive Dolls! Next article$0.16 Redbox Movie & Video Game Rental Today!